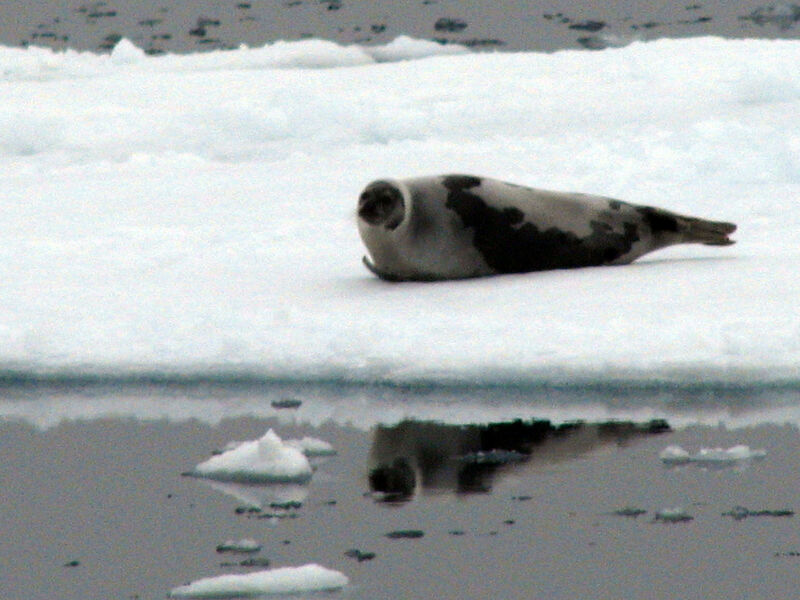 The harp seal’s habitats are mostly in the Arctic Ocean on both sides of Greenland. It represented the most numerous species of seals in this area and The Norwegians and Canadians exploited it extensively. Large shoals of them appeared in Icelandic waters around Christmas until 1860-70. People in the North and West awaited them anxiously and killed thousands each time. The male is yellowish in colour with a black head and black spots along its sides. The females is lighter in colour.